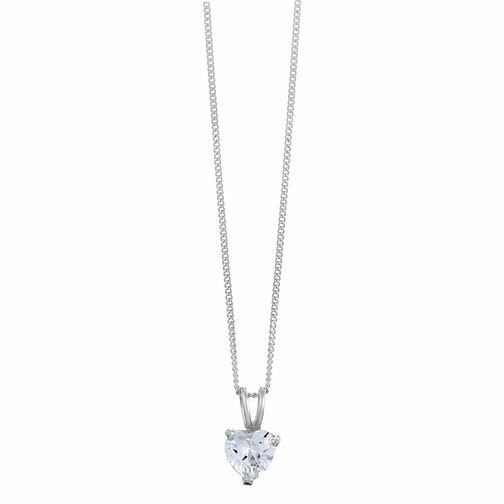 A stunning heart shaped clear cubic zirconia pendant is set from a sleek sterling silver chain. A versatile and pretty accessory that can be dressed up or down to bring a little shimmer to any outfit. A great little treat for yourself or a wonderful gift for a friend. Sterling Silver & Heart Shaped Cubic Zirconia Drop Pendant is rated 4.0 out of 5 by 5. Rated 5 out of 5 by Anonymous from Beautiful necklace This product is beautiful, very delicate and perfect for my bridesmaid.